Looking for a friendly and social group of players so it's not so lonely in-game. Why would I need a subject? I'm not acitve here any more, but you can find me on dA (nochtliproductions) and Discord (tomaytotomahto#8945). If you see me online it's a fluke. My FanFic: Hiccup and Astrid "A New Life!" Hiccup and Astrid "A New Life" Is a clean Fanfiction that follows Hiccup and Astrid in their adventures as a married couple. This story is packed with adventure, Hicstrid, Trials that shake the foundation of their marrage, and loads of surprizes along the way! I highly suggest reading it. Leave me a comment and tell me what you think. Here is a sneak peak from the first chapter of the story! “What’s wrong? !” Stoick paused “Hiccup?” Stoick said a little bit surprised. Hiccup ran and grabbed his dad’s hand and started pulling him out the door. “Dad go right to my house! I will explain later!” yelled Hiccup as he ran to Astrid’s old house. Stoick raised his eye brow, he shook his head and walked to Hiccup’s house. “Even with one foot he is still that fastest person on the island.” Stoick chuckled. Once he got there he knocked on the door. Astrid opened the door with a smile. “Hello Stoick, please… come in.” she said while opening the door wider. “When have you known him not to be energetic?” She laughed. Suddenly the front door opened again and Astrid’s parents and Hiccup were walking in. Hiccup went straight to Astrid and held her hand. Astrid’s parents and Stoick and exchanged glances. “Well, we called you here for a special reason.” Said Astrid. She nodded at Hiccup. “Astrid and I are………..” Hiccup paused, then Hiccup and Astrid said in unison “We are....TO BE CONTINUED in Hiccup and Astrid "A New Life"! 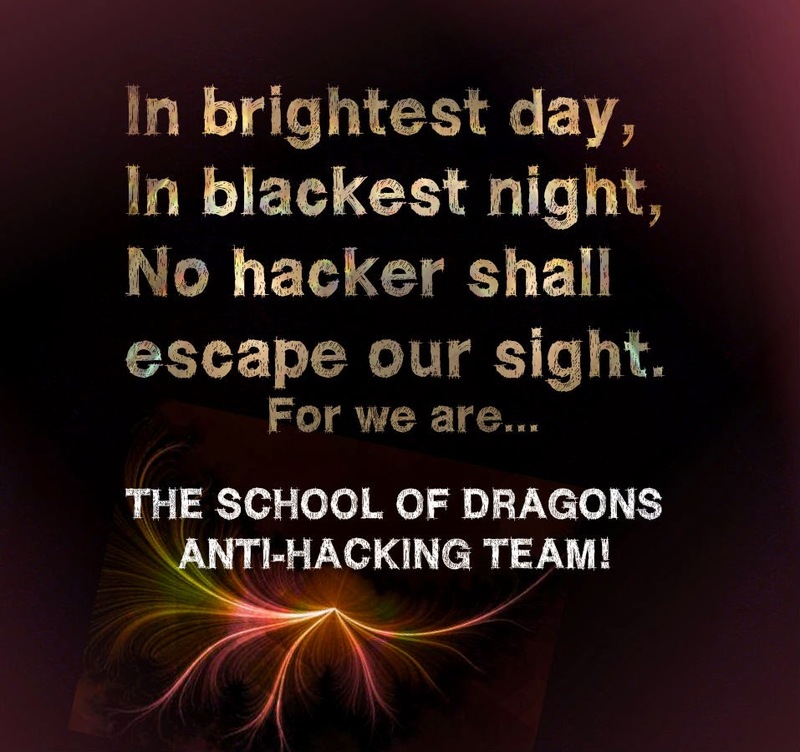 thank you Hiccup Haddock for the wonderful anti hack banner below! The next few pictures are of Ember and his mate, Moonstone. Ember is known for is glowing blue scales on his forehead, ears, and back. He is very protective of his mate, but he very well know's that Toothless is the Alpha. 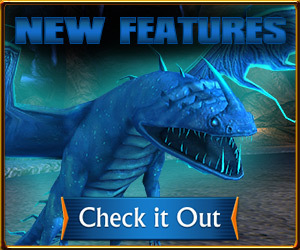 His blue glowing scales aren't to be confused with the "alpha glow." He was born with the glowing scales. Moonstone, grey night fury that fell in love with Ember. She was born with a blue/green marking around her stunning blue eyes. Ember and Moonstone drawn by me. My FanFic: Hiccup and Astrid "A New Life." Stormcutter bouncies made by ThunderRider19. Swift Wind My Nadder! Twilight Mist My Boneknapper! 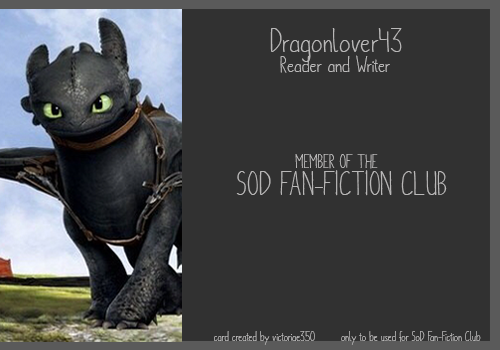 For More Dragon approved Signatures.... click on Toothless or Cloudjumper! made by: Asvald Velief, thankyou asvald! I can definitelly say that we are a group of friendly and fun people! "Don't waste your time or time will waste you." You are welcome to join The Phantom Shadows. If you have over 1000 trophies and you can also enter The Phantom Lords. 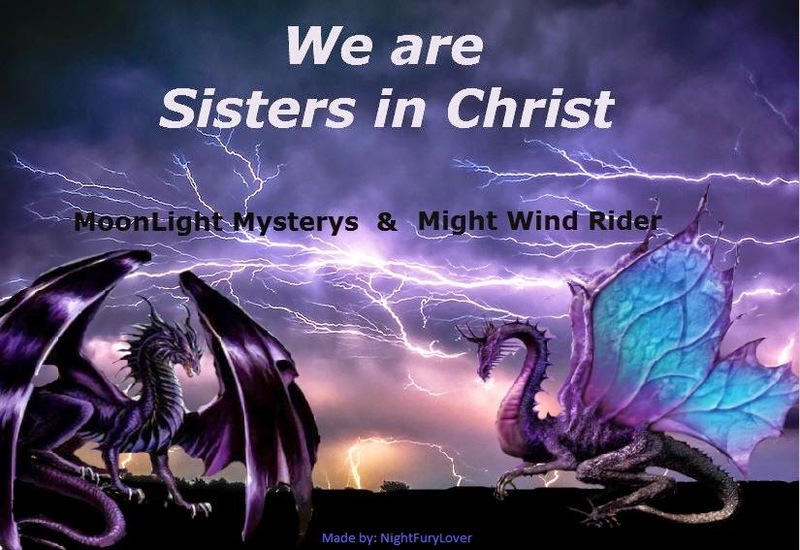 We have 2 clans and a large group of friends. When I first joined SOD, I came across the "clan quest" too. Instead of joining a clan, I decided to make one. Academic Acers is for anyone who is good at something, even if you just fish or farm. It's fine by us. 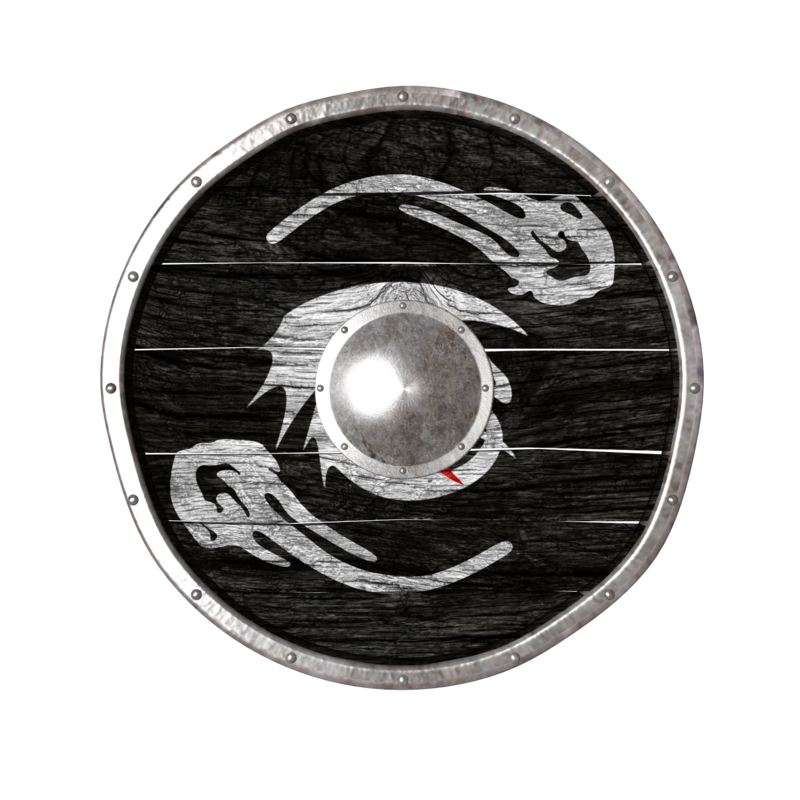 We're a small clan, only about three members including myself, one elder, and a member. We currently have about 675 trophies, last I checked, but we're always looking for new members! Hi there! I am Fawn, and I'd like to invite you to Dragon Affinity! 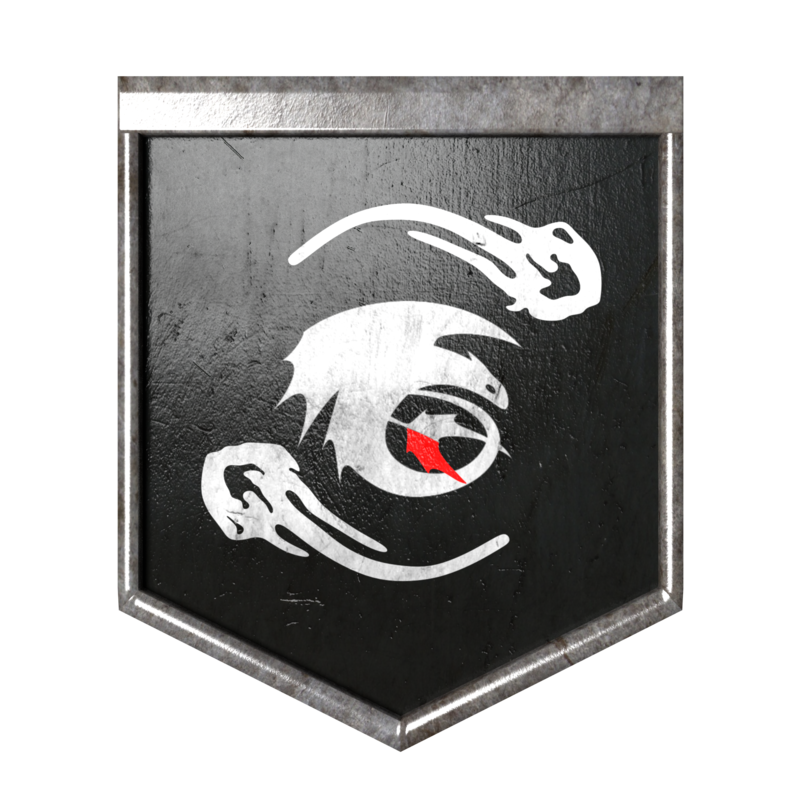 We are and incredibly new clan, in fact I just made the clan today. I am the only curent member, so there are no fancy trophies are anything like that, but if we do make it big you can say you where one of the first members ^_^ I am activly searching for new members so I hope to have a good group soon. Pm me if you are interusted!